The Community Foundation would like to recognize and thank the following individuals, families, and organizations for their generous donations in the month of June. Your support is greatly appreciated. 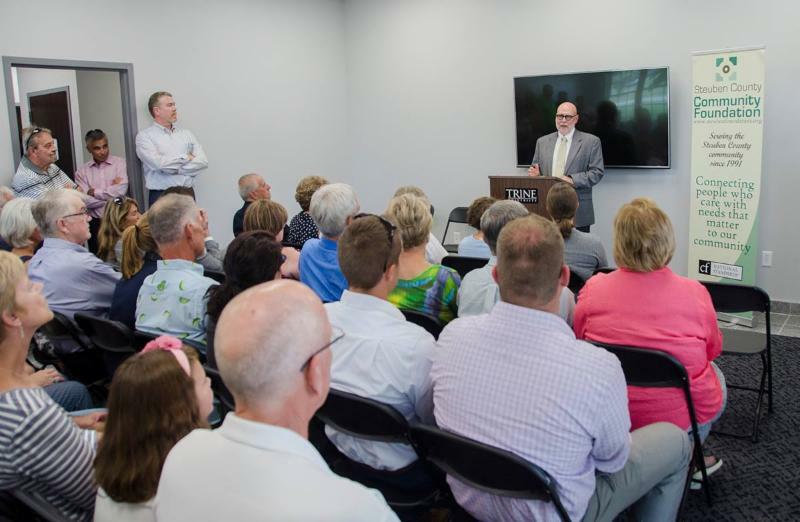 Steuben County Community Foundation (SCCF) hosted its Annual Public Meeting on Thursday, July 20 at the new site for the Community Humane Shelter. From grantees to donors, almost 100 people gathered to talk about what SCCF achieved this year. Kevin Stoy, the outgoing board chair, gave a brief review of major events that took place during our Fiscal Year 2017. This includes a $250,000 matching campaign that benefited 16 local organizations. Additionally, SCCF received more than $600,000 in gifts, and granted over $1 million dollars to 180 charitable organizations to conclude the year with just under $27 million dollars in total assets for the long term benefit of Steuben County. The board completed their portion of the meeting by updating their membership. They voted to renew terms for three members, added two new board members, Adam Miller and Jaime Walker, and introduced the new executive committee. The atmosphere was filled with celebration, hope, and excitement about the future of Steuben County. Applications for the 2018 Lilly Endowment Community Scholarship will be available August 1, 2017. Students are eligible if they have been a resident of Steuben County for at least the past three years. Applications are due to the Community Foundation by September 15th at 4:30pm. For information about applying, please see the SCCF Scholarship Page on our website. This is a paper application, and any questions can be directed to Jacqui Gentile at 260-665-6656 or jgentile@steubenfoundation.org. 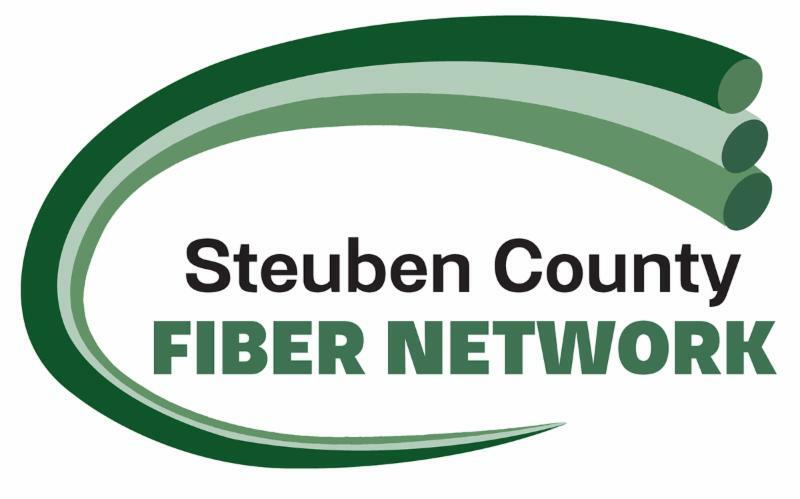 At the SCCF Annual Public Meeting, Jim Burns announced the board's decision to change the fiber network's name from Indiana Metropolitan Area Network (iMAN) to Steuben County Fiber Network (SCFN). Burns, the outgoing chair of the SCFN board (and upcoming chair of the SCCF board), explained that this rebranding better reflects the substantial investments of SCCF and the Steuben County government. In addition to providing financial support, SCFN has benefited from their leadership and advocacy in the community. As a result, SCFN celebrated a year of increasing customers and connections. 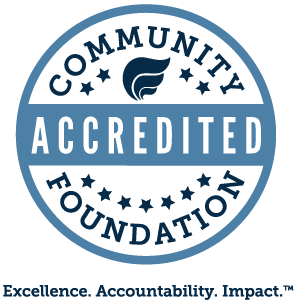 In FY 2017, SCFN had net profits from operations of over $92,000 and granted $16,500 back to the community foundation for grantmaking. The SCFN portion of the Annual Meeting concluded with the election of Isaac Lee as a new board member and the approval of 2018 SCFN officer nominations. 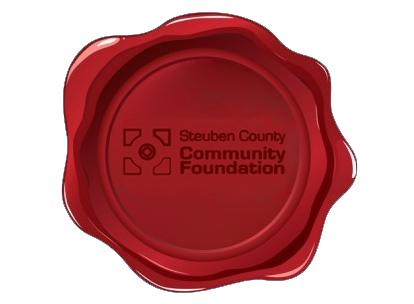 SCFN's continued growth in Steuben County has been combined with an effort to better explain their work to the public. In addition to providing the area with much needed infrastructure to support high speed internet, data transfer, and reliable connectivity, SCFN is incorporated as a supporting organization of SCCF to provide sustainable grantmaking dollars that support community projects around Steuben County. The network's name change was accompanied by an update to the SCFN website. 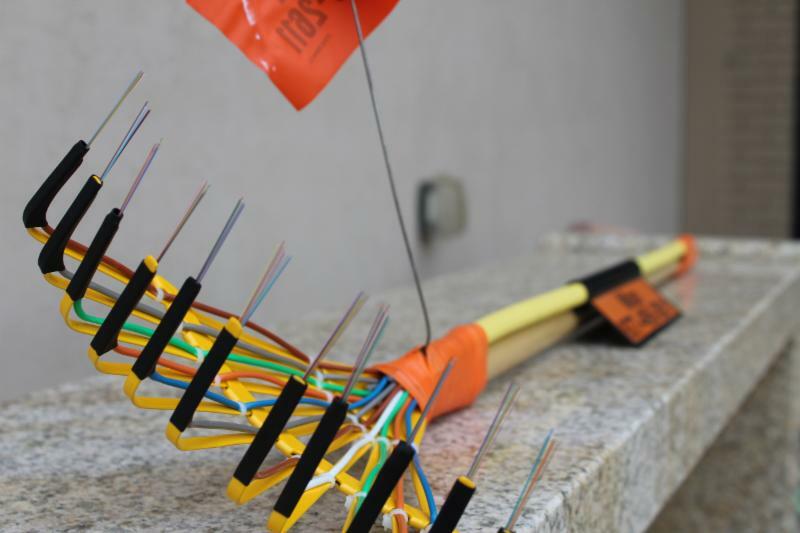 At the recent SCCF Annual Public Meeting, this “fiber rake” (pictured below) was given to the outgoing board chair as a parting gift. Each cord is color coded, and a single strand of fiber can serve the needs of a facility like the SCCF office. If you are looking for a planned gift option, an IRA Charitable Rollover could be a great option. An IRA is a tax deferred retirement account, so taxes are only incurred when individuals withdraw from their accounts. Individuals who have an IRA are required to begin making a minimum withdrawal each year once they are 70 ½. 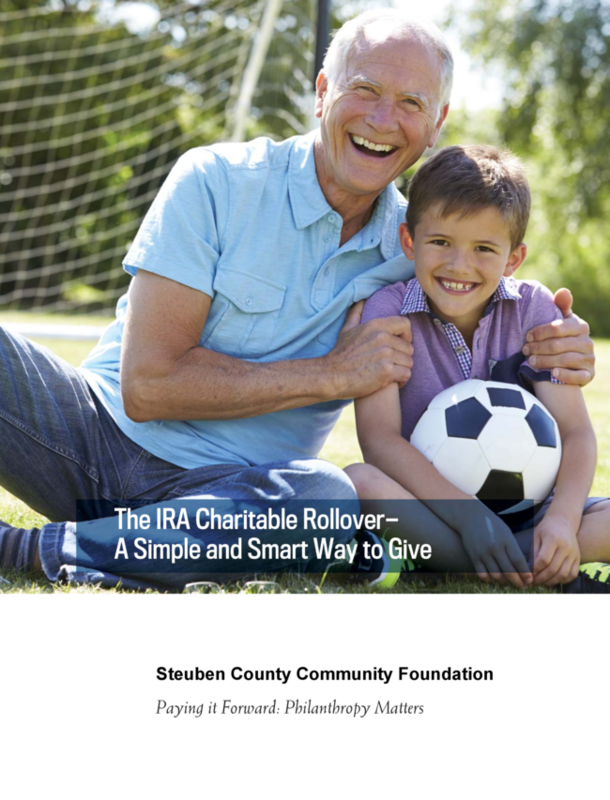 An IRA Charitable Rollover allows these individuals to make a simple, direct transfer from their IRA to a qualified charity and avoid the taxes that would otherwise be applied to distributions. This is easier and more advantageous than making a personal withdrawal, paying the taxes, and writing a check to a charity. Read the attached story for more details about eligibility and limitations. If you would like to learn more about the opportunities available for planned giving, please contact us. The IRA Charitable Rollover is a unique and attractive option for you to make your philanthropic mark on Steuben County.